Erica Chenoweth has a B.M. in performance from the University of Maryland and a B.S. in Natural Sciences from the University of Alaska Anchorage, specializing in biology and science education. While achieving her B.S. she worked at the UAA residence halls with the ANPsych (Alaska Natives into Psychology) program for two years and assisted with RRANN (Recruitment & Retention of Alaska Natives into Nursing) programs. She works as a marine science and environmental education intern for the NOAA National Estuarine Research Reserve at Kachemak Bay in Homer, Alaska and the Alaska Department of Fish and Game. 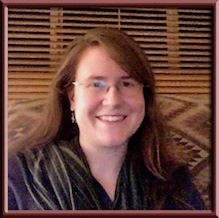 She has been involved with the Native American Science Curriculum Project for almost two years and looks forward to beginning her Masters in Interdisciplinary Studies at UAA with a focus on science education and Alaskan traditional ecological knowledge in Fall 2011.